Across the diverse world of the Crucible, the mighty Archons clash in fierce competition as they race to unlock the planet’s hidden Vaults and gain their ultimate knowledge and power. Here, in KeyForge, the race is on to discover the secrets of the Crucible and the mysterious Architects who built it. By assembling teams from three of the Crucible’s seven Houses, the Archons will lead their minions into chaotic battles where they must reap precious Æmber and stave off their rivals as they battle to forge keys and earn victory. Along with this new world comes a new game model: the Unique Deck Game, where every deck in existence is an distinct as the one who wields it. Unlike a collectible card game, every deck in KeyForge offers a complete play experience with no deckbuilding or boosters. You only need one deck to start playing, but how you choose to enter the fray and how you conduct your battles is entirely up to you. 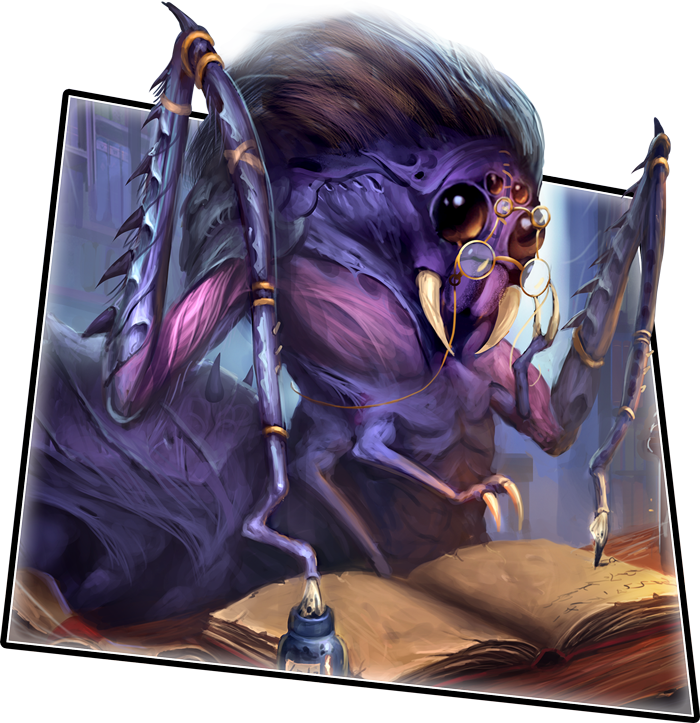 Today, we're pleased to offer you a closer look at some of the different ways you can play KeyForge: Call of the Archons—now available for pre-order at your local retailer or online through our website! 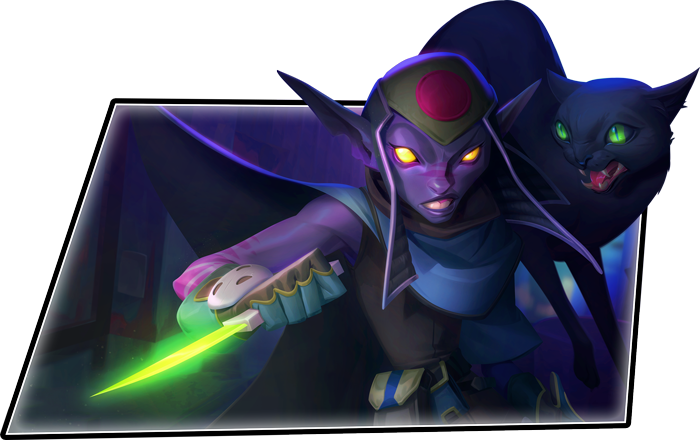 In our second preview, we looked at the mechanics and the swift strategies that go into a round of KeyForge. But in this game, strategy stretches beyond the match itself. 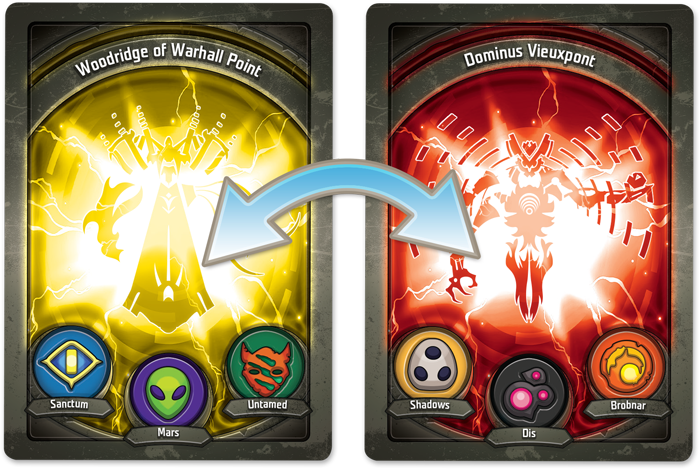 Your collection of Archon Decks is completely unique to you, and as you lead your teams into more and more matchups, you will get to know the character and quirks of your deck and discover the synergies within. Ultimately, the value of a deck is not held in individual cards, but in how you can piece cards together, creating the most powerful combinations until you are truly the best in the world at playing your decks. 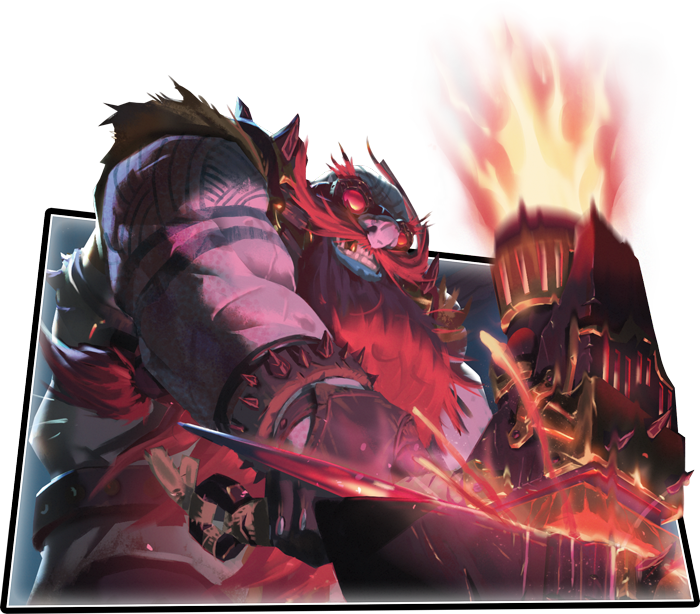 If you reach a point where you are truly a master of your Archon Deck, KeyForge offers you an optional rules variant that allows you to continue to challenge yourself and grow as a player—namely, adding chains to your deck. These chains reduce the number of cards that you draw at the end of your turn, and although you'll slowly remove your chains, you can only shed one chain per turn. 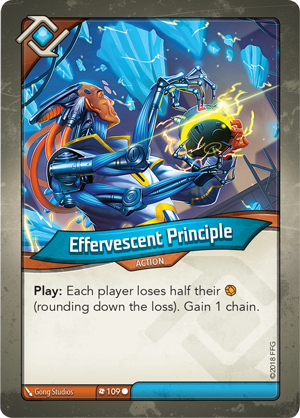 In the game, you can gain chains through certain card abilities, such as Effervescent Principle (Call of the Archons, 109), but when you're playing a game between two Archon Decks with notably different strengths, you may use these chains to handicap the stronger deck before the game even begins! This mechanic may be used first and foremost as a simple balancing element. If you know that one Archon Deck is stronger than another, assigning chains to the more powerful deck makes the game a true contest of skill. However, you can also use chains to battle for control of a certain deck—if both you and your opponent are familiar with a deck, you can bid chains for the chance to lead it into battle. For example, let’s say that Sarah and Nate decide to play a game with Justroid the Humble Castle Mongoose, a powerful deck that they both know well, and Ragna “The Machine” Steelian, a new deck that neither has played before. Sarah starts the bidding by saying that she will play Justroid the Humble Castle Mongoose with four chains. Nate counters by saying he will play the same deck with five chains. Sarah raises again, to six chains. Nate concedes the contest, and Sarah wins the right to play Justroid the Humble Castle Mongoose while Nate plays Ragna “The Machine” Steelian. All that remains to be seen is whether Sarah’s confidence will lead her to glory or prove foolhardy as she struggles to lay her plans with fewer cards. 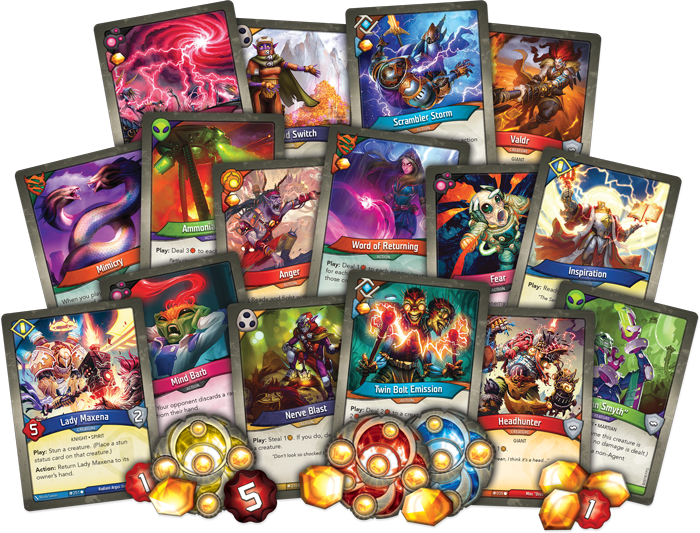 In any game of KeyForge, the deck that you choose to play is a key strategic element, and as you explore the different Archon Decks in your collection, you may find yourself favoring some while neglecting others. Just as you discover and become familiar with your strongest Archon Decks, you may also find the decks that stand out in their weaknesses. Some decks may simply not have a synergy that you personally need to succeed. So, the question becomes: how can you use a less powerful deck to your advantage? By giving it to your opponent, of course! In this entertaining and often hilarious variant, you and your opponent come to the battlefield armed with your worst possible deck, which you swap with your opponent before the game begins. Now, you're just as incentivized to win with your opponent's deck—proving once and for all that your deck is worse than any other! As you both stumble toward the finish line, you will be challenged like never before to shift your focus and make the most of every opportunity, as you are likely more familiar with your opponent's cards than your own. Ultimately, much like two friends escaping a rampaging bear, you don’t have to be the fastest or the strongest Archon in the Crucible, you just have to be better than your opponent. The last way to play KeyForge that we'll look at today is at once the simplest and the most difficult. 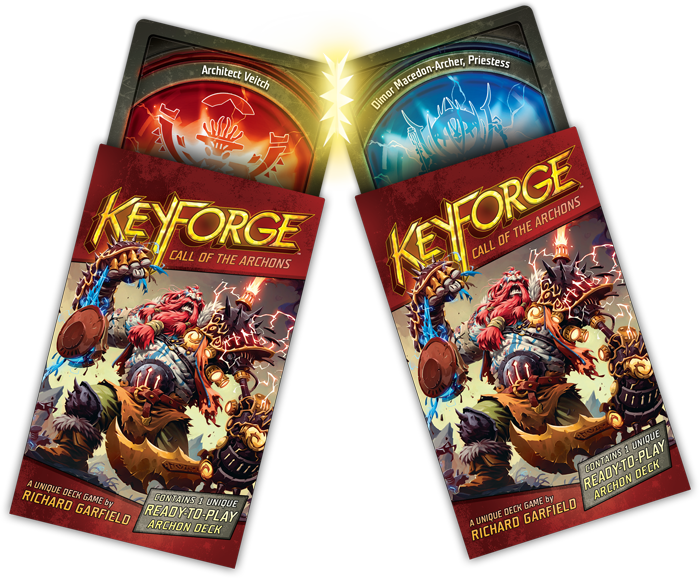 In KeyForge, every deck offers a full play experience right out of the box, and you and your opponent can fully embrace the Unique Deck Game model by doing exactly that—open up two sealed decks, shuffle, and play. This variant is perfect for players who like to live life on the edge, leaving the strategic element of deck selection to luck and placing even more emphasis on your abilities as a tactical leader. Regardless of how long you and your opponent have been collecting and mastering your Archon Decks, you both enter on a level playing field. Your deck may be better, worse, or equally matched to your opponent’s, emphasizing the element of discovery that KeyForge offers. And if you can resist the temptation of looking at your new deck's card list, you can create the ultimate tactical challenge, forcing you to constantly adjust on the fly without even the security of knowing what powers still sleep deeper in your deck. 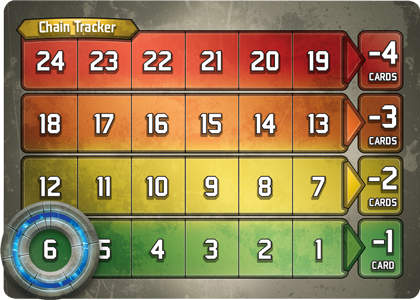 However, if running in blind sounds like too much of a risk, you and your opponent may also choose to adjust this variant by looking at the two deck lists together and then bidding chains like we explored earlier. In this way, you can test your ability to judge a deck just as much as your ability to master that deck without ever playing it before. Then, as a final, deciding element, you and your rival can immediately switch decks after your match and play again, just to remove any doubt as to who is the most powerful, most cunning, and most worthy Archon to unlock the knowledge of the Crucible. The Crucible opens a world of infinite possibilities, and once you take your first step on the journey, the power is in your hands. How you choose to pursue victory is up to you, and these are merely a few options in a limitless world. If you have more ideas for gameplay variants, please share them with the community in our forums here, and be sure to keep your eyes on our website in the coming weeks to learn more about this stunning world and the cultures that inhabit it! 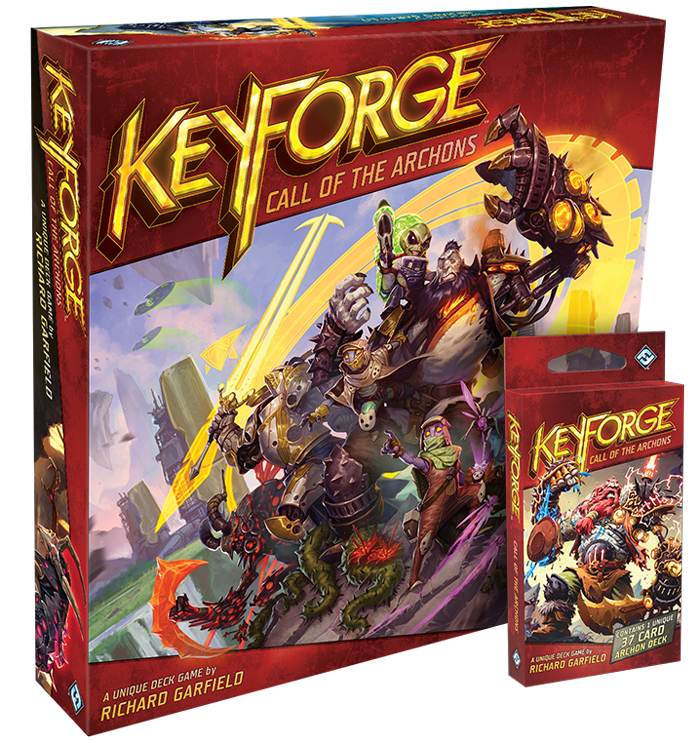 You can pre-order your copy of KeyForge: Call of the Archons (KF01) and your collection of Archon Decks (KF02a) at your local retailer today or on the Fantasy Flight Games website here! Otherwise, be sure to watch for KeyForge when it hits shelves in the fourth quarter of 2018!